The most inevitable parts of your daily life are moments of dead time or downtime where you have virtually nothing to do and look to pass some time. This is where social gaming apps come into play. There are hundreds of awesome gaming apps that you use to kill some time. Some like to find arcade gaming apps, some like simulation apps, while others enjoy social casino gaming apps or to find the best casino apps for real money. In this list we will cover the top 5 social gaming by downloads from the moment of writing that people use to compete against each other and socialize. Clash of Clans is one of those new generation strategy games built especially for mobile devices where you get to build your own clan, village, defense and army and you get to attack other players or defend from incoming attacks. As you can see by the number of downloads, this game has swept the gaming community as it offers hours of fun on your mobile device for free where you get to build your own strategies. Farm Heroes Saga is a product of the same people that made Candy Crush and Bubble Witch Saga. The phenomenon of this game has struck people from all ages that love to hold a mobile device in their hands and spend hours of playing and socializing through the game. It’s an easy to play game, but challenging to master. In-app purchases will help you advance faster. Candy Crush Soda is a sequel to the already legendary Candy Crush game both based on the match-3 concept where you get to match same candies to clear the levels. In the Soda edition you get to match new candies in new combinations and challenging game modes. It’s a completely free-to-play game with in-app purchases. It’s a has high social value because of the concept of sending and receiving lives in order to be able to continue playing without having to wait for the reload time. 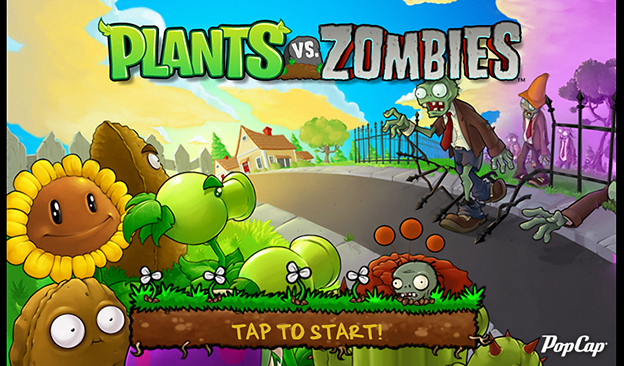 This game is similar to the tower defend concept where you have to plant some plants with which you defend your garden from the incoming zombies. You have an arsenal of 49 different plants as your weapons which you have to use wisely in your defense plan. By collecting coins you can unlock upgrades and other features. Or you can just buy coin packs. World War 2 games are always attractive among male gamers, and World of Tanks Blitz gives them the pleasure to wreak havoc by controlling their own tank in this multiplayer tank shooter. This is probably the very best multiplayer social game that you can find for your mobile be it Android or iOS. It’s a free-to-play gaming app with the option to make in-app purchases to unlock more features.